Think about Honda, or compact cars in general, and it’s hard not to picture the Civic. This earnestly-named model helped establish Honda’s reputation worldwide, and has become something of a Platonic archetype for small cars. Now, it’s entering its 10th generation. 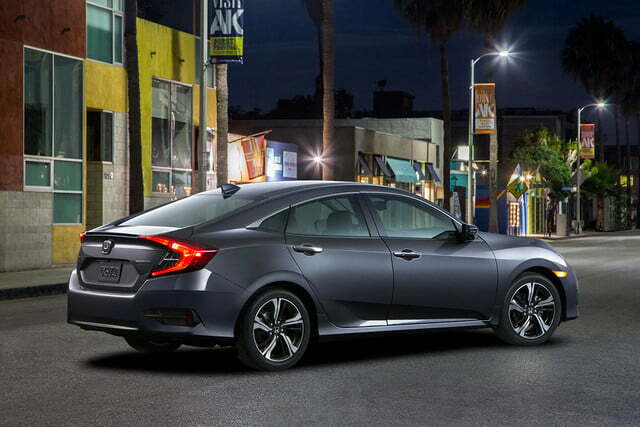 The 2016 Honda Civic sedan was unveiled at an event in Los Angeles, and goes on sale in the U.S. this fall. It will eventually be followed by coupe and five-door hatchback body styles, plus sporty Si and Type-R models. The latter will be appearing in U.S. showrooms for the first time. The production Civic maintains quite a few of the styling cues from the Civic concept that appeared at the 2015 New York Auto Show, giving it a much more stylish appearance than the current model. At the front, there’s a massive grille similar to the ones added to the recently-refreshed CR-V and Accord, and the cabin is shifted backwards, making for a more dramatic, long-hooded silhouette. Bulging wheel arches and sculpted sides give the Civic a more muscular appearance than one would normally expect from an economy car. Standard LED daytime running lights and C-shaped taillights add some more flair. Full LED headlights are optional. Underneath the reworked sheetmetal, the Civic gets two all-new engines. 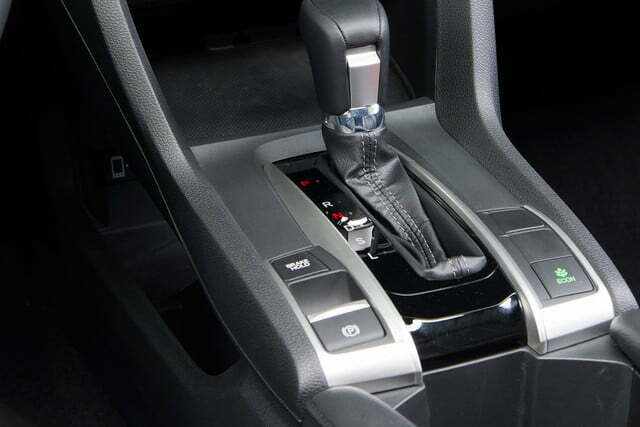 Base models will get a 2.0-liter four-cylinder with Honda’s i-VTEC variable valve timing system. Honda won’t discuss specifications, but it claims this engine is the most powerful ever fitted to a base-model Civic. The Civic’s optional engine will be a 1.5-liter turbocharged four-cylinder, the first turbo engine ever offered in a non-Si Civic in the U.S. The naturally-aspirated 2.0-liter engine will be offered with either six-speed manual or CVT automatic transmissions; the 1.5-liter turbo will be automatic only. In addition to a restyled body and new powertrains, the 2016 Civic gets a tech upgrade as well. It will be offered with a Display Audio system and 7.0-inch touchscreen similar to the one that debuted in the 2016 Accord. 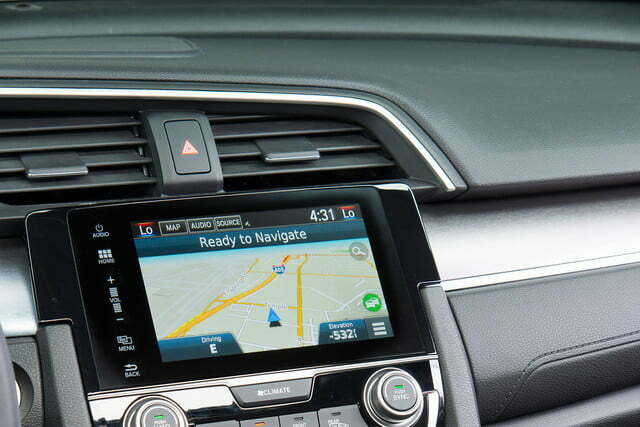 Apple CarPlay and Android Auto will be available as well. The 2016 Civic will also be offered with the Honda Sensing suite of electronic safety systems, including Collision Mitigation Braking, Road Departure Mitigation, and adaptive cruise control with low-speed follow. Honda says it’s looking to position the Civic on the premium side of the compact spectrum, so it tried to spruce up the cabin with a soft-touch dashboard, available TFT information display, and LED lighting elements. 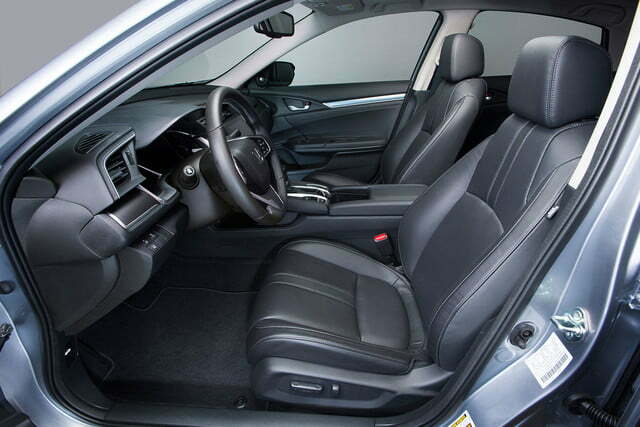 The driver also sits lower for a sportier feel, and Honda claims the Civic sedan has the most spacious cabin in its class. 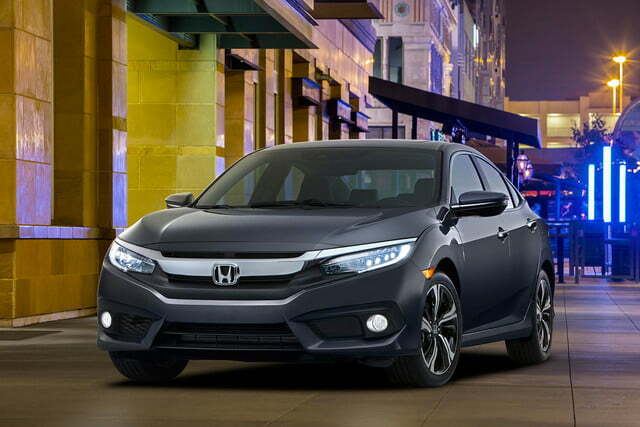 The 2016 Honda Civic sedan goes on sale in the U.S. this fall. Pricing and more detailed specifications will be released closer to the on-sale date.